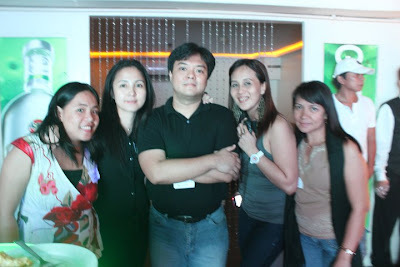 HTC Corporation, a global leader in mobile innovation and design, launched the new HTC Desire S in the Philippines last April 27 at Intercon Hotel. 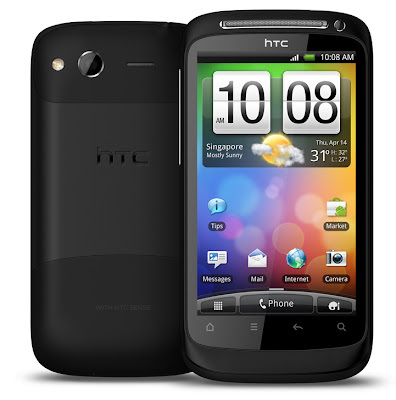 As a successor to the popular and award-winning HTC Desire, the new HTC Desire S blends stunning design with power and speed. Inspired by the HTC Legend™ smartphone’s aluminium design, the HTC Desire S is sculpted out of a single block of aluminum making it feel solid and natural in your hand. I grew up in an old-traditional Filipino family, my father works and my mother stayed home to care for us: 6 children and all. 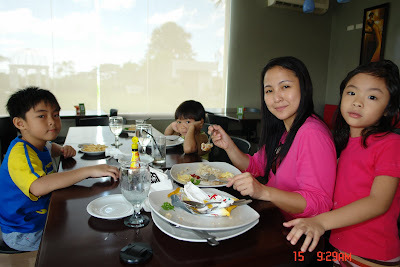 I remember at an early age of 10, I told myself that I will never be like my mother; who never had a formal career but chose to have a home-based business just so she could stay home and be with us, her children. I envied my classmates whose moms are career women. But don't get me wrong, I LOVE MY MAMA! She was the best. She was feisty, never allowed anyone to hurt her children as long as we are on the right path. 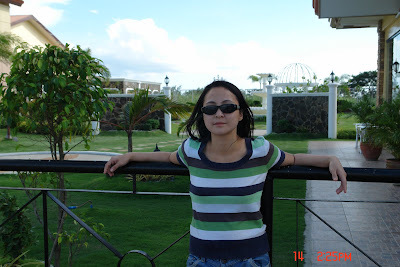 What I admired most from my mother was that she was a very giving and forgiving person. She always had a ready hand to help those who are in need, be it a friend nor a stranger. She gave til it hurts, sometimes forgetting that our family too has needs to be met. She would always tell us that we are lucky, that we have enough. She was also a very forgiving person, to the point that she would even approach those who actually offended her. When my father worked abroad, he wanted Mama to follow him so they can be together. Mama stayed for us, her children. 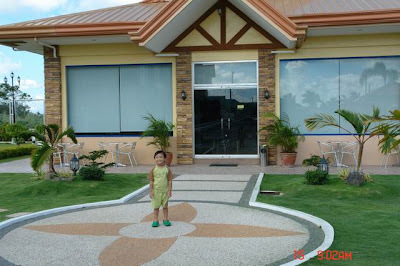 When Papa's remittance arrived, Mama would bring us to eat and shop, sky's the limit! She would always remind us not to worry about the future because the future is a far away place and that God will provide. When Mama's three elder sisters decided to work and live in London, she was asked to follow them but she turned them down for us, her children. She would always say, that we are okay, that we are lucky, that she is happier being with us. My Mama passed away at an early age of 43 due to kidney failure last 1993 but she lived a full life. She gave when somebody asked for help, she consoled when someone needed consoling, she forgave even when forgiveness wasn't asked for. I started working at an early age of seventeen, sent myself through College. I worked in big companies and held positions with big salaries, but I was restless and always looking for something. I cannot fathom what was lacking in my life. 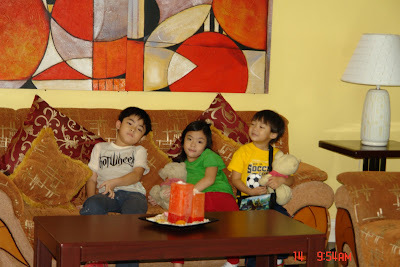 In year 2000, five months after giving birth to my twin kids Julia and Rafael, I resigned from work. That's when I realized, I am my mother's daughter...I am most joyful being a MOTHER! the years I spent with you. when you were here beside me. The warmth of your tender embrace. For a band that was just formed in 2008, AJKA has experienced major victories compared to others. Most notable is their win in the 2010 Nescafe 3-in-1 Soundskool college band search. The band was recently launch their debut EP “Undefined” at Club Phi in Metrowalk last April 28, 2011 which presented by Sony Music in cooperation with Nescafè and G.A. Yupangco & Co. Inc.
Flashback when they just got together. This band garnered first place in an interschool Battle of the Bands with an original song that would also lead them to their recent milestone. Coincidence? Destiny? Whatever you call it, this proved to be a shape of things to come. K.A. Antonio (vocals), JL delas Llagas (guitars), Aaron Caligner (bass) and Jon Pinto (drums) met in the official De La Salle University orchestra, DLSU- Pops Orchestra now known as the Surreli Pops Orchestra and have combined their first names’ initials to form the band’s name. All members started young in picking up their first instruments and that passion for music made them click easily. After joining several Battle of the Bands, they felt it was time to take their talent to the next level. So they joined the 2010 Nescafe 3-in-1 Soundskool, a nationwide band competition for college bands whose alumni include Hilera, Letter Day Story and Eevee. “We felt that Soundskool will give us a good exposure in order for our music to be heard,” KA said. Armed with their music that they describe as “pop with a hint of jazz, funk, and soul”, from the auditions they breezed through the semifinals and made it as one of the Top 5 finalists. Tough is one adjective they thought to describe the whole journey. “It entailed a lot of hard work. We had to practice more than usual. 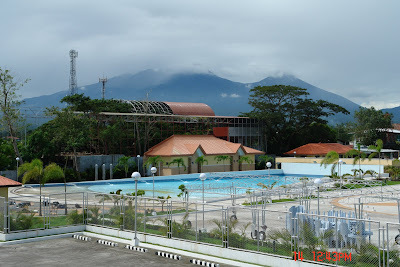 It was a mix of pressure since we know that there are a lot of bands battling for the title,” KA said. Yet, that journey provided them with learning experiences particularly on how the music industry works. “I got to know so many things about the music industry that I didn’t know beforehand. I learned tips on how to make our songs better, performance and musically wise. Plus I got to meet new friends and made connections within the industry. The Soundskool experience also let our band think about what we really want and what direction will we take,” Aaron said. Among the five finalists, they were eventually voted via text votes as 2010’s Nescafe 3-in1 Soundskool champion. Their victory was a lot of firsts in the competition: first time a winner was decided via SMS, a winner not leaning towards the rock and alternative side, and the first time a female-fronted band won. “I think what made us win the competition foremost is the support of our friends, family and fans without them we won’t be in this situation. Second is the unique sound that our band has, I think it is something that is not common and is new to the ears of the public,” Aaron said. A band that has not tried submitting demos to record labels, AJKA now belongs to one - multi-national label Sony Music, as part of the prize. “The feeling is overwhelming. This situation that we are in now was just a dream before and now I am very excited to be a part of Sony music. This chance we got is once in a lifetime so I am willing to work as hard as I can to prove that we deserve the win,” quips guitarist JL. Likewise, they finally have a CD of their own called “Undefined,” featuring the lead single “Tanong Lang”, the original song that won them their first band competition and the Nescafe 3-in-1 Soundskool. “The lyrics say it all. It’s a sweet flattery of questions confirming the real feelings of the person. Being the first ever single, this song began the band,” KA said. Another track in the album “In Denial” tells a story of two people who are secretly in love with each other. Their actions show of overflowing love, but they are just both in denial that they’re truly falling for each other. The band wrote the track in 2007 and was based on real life experience. Produced by Jonathan Ong (Gloc9, Letter Day Story) and The Youth’s Robert Javier, listeners can look forward to an album that is distinctively AJKA, one that will leave an indelible mark in the music industry. “Expect vocal excellence, groovy bass lines, warm guitar riff, and punchy drumming,” concludes Jon. Expo Mom is the premier lifestyle event for moms in Manila. It is a trade expo, all-day workshop, shopping destination, mommy party, family occasion, mompreneur lab, all rolled into one! It is not your regular bazaar. Expo Mom showcases the latest in mom and baby products and services, from new brands that have been recently launched, to latest mompreneur inventions, to new stuff that have just come in from abroad. 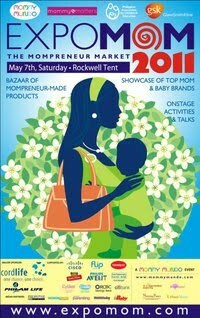 Yes moms can shop and browse, interact with vendors and mompreneurs, and learn a lot about what services are out there. 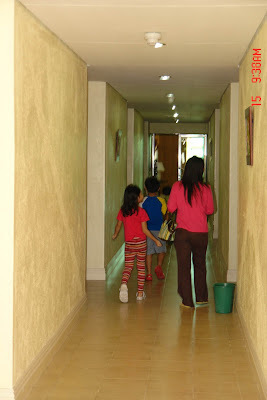 - Mommy Matters' 10th year Anniversary! Fujitsu PC Asia Pacific, one of the world’s leading brands of personal computers, today unveiled its 11 latest LIFEBOOK and ESPRIMO EH300 that features the 2nd Generation Intel® Core™ processor and AMD Fusion Brazos™ platform. 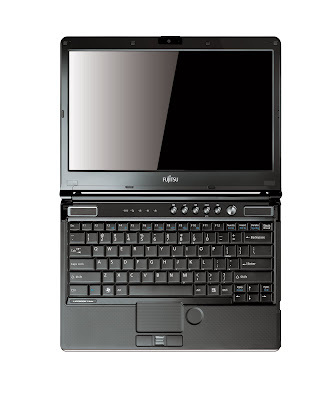 This array of enhanced LIFEBOOK is specially designed to deliver an unparallel user experience that includes solid computing performance, excellent media and graphic capabilities, and greater energy efficiency. 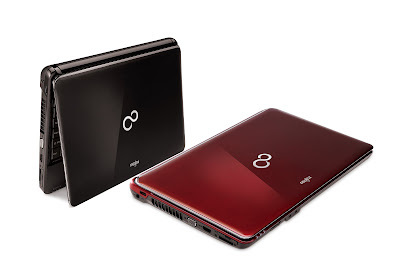 The new range of LIFEBOOK –S Series (LIFEBOOK SH761 & SH561), N Series (LIFEBOOK NH751), P Series (LIFEBOOK P771 & PH701), T Series (LIFEBOOK T901), A Series (LIFEBOOK AH531), L series (LIFEBOOK LH701 & LH531) and B series (BH531) are the models incorporated with the 2nd Generation Intel® Core™ processor. The latest LIFEBOOK that run on 2nd Generation Intel® Core™ processor will set a new benchmark in terms of its unprecedented level of computing performance, speed and visual capabilities. The new LIFEBOOK are equipped with user-friendly features that will satisfy the various needs required by consumers and business professionals. “We are now entering a multimedia-centric world where users demand for instant access to stunning and immersive visual, web and gaming experiences – often times all at once. Our latest LIFEBOOK line-up with versatile built-in processors is tuned to meet the varied preferences and needs of today’s customers. While we increase the power levels to achieve performance gains for high-intensity dynamic workloads; we ensure the power and thermal aspects are intelligently optimized at the very same time,” says Mr. Edmund Lim, Product Marketing Manager, Fujitsu PC Asia Pacific Ltd.
“Besides staying true to our brand promise towards developing quality, green and dependable innovations, we are also prioritising improvements on designs that are practical yet aesthetically pleasing. Our LIFEBOOK are available in two design concepts – Cool Tech which boasts an appealing combination of vibrant and sleek feature that is suitable for the consumers, and Smart Companion that exudes a premium and elegant characteristic which will truly support the needs of all business professionals. In short, everyone will find themselves a LIFEBOOK that will complement their lifestyle perfectly,” added Mr Lim. Fujitsu’s new line of LIFEBOOK that run on the latest 2nd Generation Intel® Core™ platform are specially engineered for higher performance, allowing its users to enjoy the best multimedia, visual and mobile computing experience. 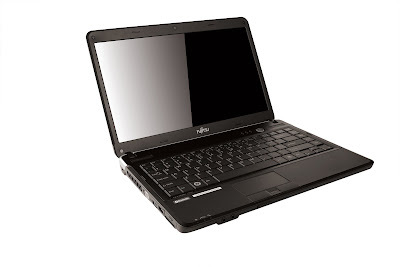 • LIFEBOOK SH761: The LIFEBOOK SH761 is Fujitsu’s technology flagship. Equipped with all the essential top-of-the-line features, including the Green 0 Watt AC adapter, this 1.6kg ultra-portable system captivates technology enthusiasts with its SuperFine HD back-light LED display of 300nits and 6200 mAH battery, one of the highest capacity in its class. Fujitsu’s unique, patent pending ventilation system enables fuss-free maintenance, longer usage and ensures computing reliability in personal and business situations. • LIFEBOOK NH751: The LIFEBOOK NH751 is a premium high-powered notebook designed specifically for gaming enthusiasts who demand an immersive gaming experience. Powered by the Intel® Quad-core i7-2630QM and offers a phenomenal audio-visual experience via its built-in 1GB NVIDIA® graphics card with Optimus™ technology and built-in digital theatre system (DTS) on luxurious 5.1 speakers. It also comes with built-in Blu-ray player for HD movie entertainment. 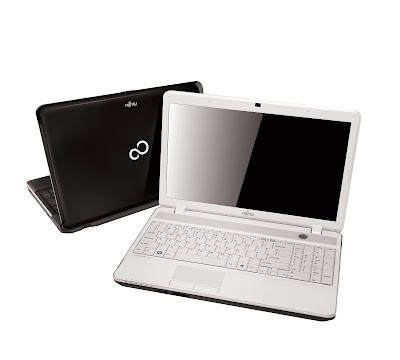 • LIFEBOOK SH561: The LIFEBOOK SH561 is a portable all-rounder and is ideal for mobile professionals on a quest for computing nirvana and enhanced durability. To enrich the user experience, it features a pragmatic arc design, textured palm rests, and simple elegance. The LIFEBOOK SH561 also comes with the advanced biometric security features, such as the radio-frequency-based Fingerprint Sensor. • LIFEBOOK P771: Elegantly wrapped with a glossy black cover, anti-glare screen, thin and light LCD panel-equipped, the LIFEBOOK P771 caters to business professionals’ need for an ultra-portable notebook with superb performance and reliability. The stunning portable device comes with a striking glossy cover for business users. An additional modular bay device is easily plugged in for flexible usage, and users will enjoy extended battery lifespan in the instance of a modular bay battery. 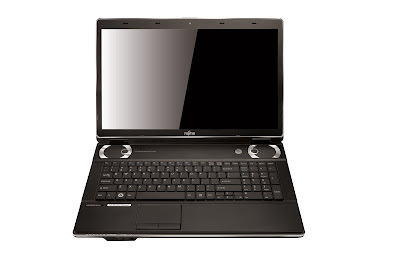 • LIFEBOOK AH531: Coupled with a 15.6-inch 16:9 HD back-light LED display, the LIFEBOOK AH531 is lightweight in its class and gives value-conscious users an excellent computing experience. The spill-resistant, full-sized keyboard and 10-key number pad are configured to ensure extra comfort and convenience. The LIFEBOOK AH531 is perfect for users yearning for sound gaming performance and home entertainment. • LIFEBOOK BH531: Powered by NVIDIA® Optimus™ technology and 1GB VRAM, the LIFEBOOK BH531 balances mainstream features and portability with affordability, and is optimized to bring to users, outstanding HD graphics performance whenever it is needed while extending battery life with its Power ECO button. 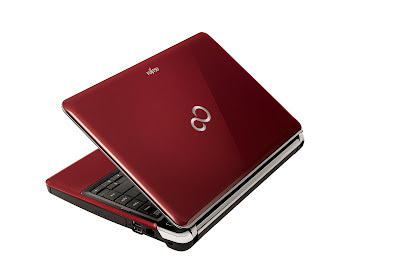 The LIFEBOOK BH531 is less than 2kg and is available in Shiny Black and Garnet Red. • LIFEBOOK LH701: This 1.9kg anodized black notebook provides comprehensive features to meet the needs of Small and Medium Businesses (SMB) users seeking a desktop alternative. Wrapped in a tough aluminum case with Zen-style curved edges, the 14-inch LIFEBOOK LH701 is lightweight in its class and is a high-performance computer with a host of improved business features, including RF Fingerprint Sensor and anti-glare screen. • LIFEBOOK LH531: The LIFEBOOK LH531 is available in Shiny Black, Garnet Red and Cherry Pink and comes with a high-gloss back cover which is wrapped within a silver lining that offers sheer elegance. A spectacular HD entertainment experience and intelligent graphics performance are paired with beautiful curvatures that embody the legendary strength of the famous Japanese Katana blade. The machine is designed for everyday computing and is an excellent companion for first time PC buyers and students where value for money is a top priority. Fujitsu remains firmly committed to the promotion of a cleaner environment and complies with the European Union’s Restriction of Hazardous Substances directive (RoHS) across its entire range of products. 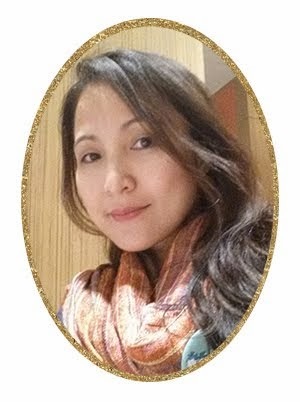 In addition, Fujitsu has established a set of commitments that goes beyond RoHS requirements, thus allowing it to stay keenly focused on its customers’ health and well-being as well as to embrace a healthier environment for all. By adopting a green factory concept and being committed to the cause of energy-efficient computing, Fujitsu also fights to sustain the Earth as a sponsor and a member of the Climate Savers Computing Initiative. 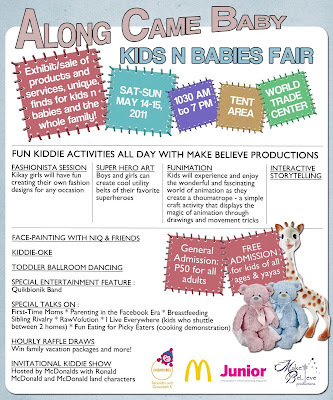 Along Came Baby, Kids n Babies Fair, is a family expo at the Tent of the World Trade Center on May 14, 15, 2011. There will be an exhibition/sale of family goodies: books, toys, mom and baby care, furniture, hard-to-find stuff and more! 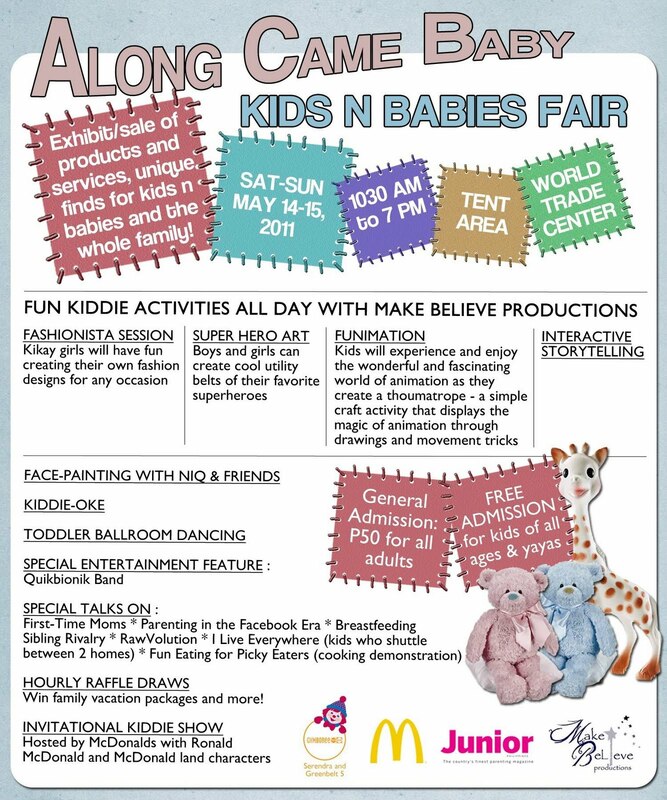 There will be gym play with Gymboree and kiddie activities with Make Believe Productions. A happy, happy McDonalds kiddie party will cap each day. There will be happy meals and entertainment by Ronald McDonald and McDonaldland Friends and Make Believe Productions. Reservations for the party are on a first come, first served basis. Please email alongcamebaby@gmail.com to reserve. 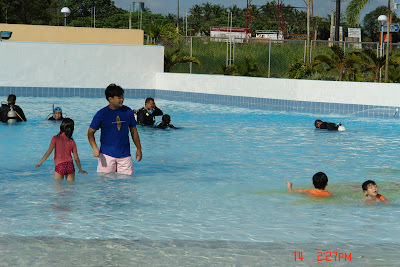 Kids and yayas get in for FREE! The hotel's facade is grand that I immediately liked the place. There's ample parking too. The hotel's receptionist is a double thumbs down though. She seems to have come out from hibernation. She wasn't smiling at all! Gave us a wrong room too, that I didn't bother posting the Receptions area to protect this receptionists identity for I do not want her to lose her job. I just hope that the hotel's Management send her to a thorough customer service seminar. The room is quite small but I'm glad it's clean. 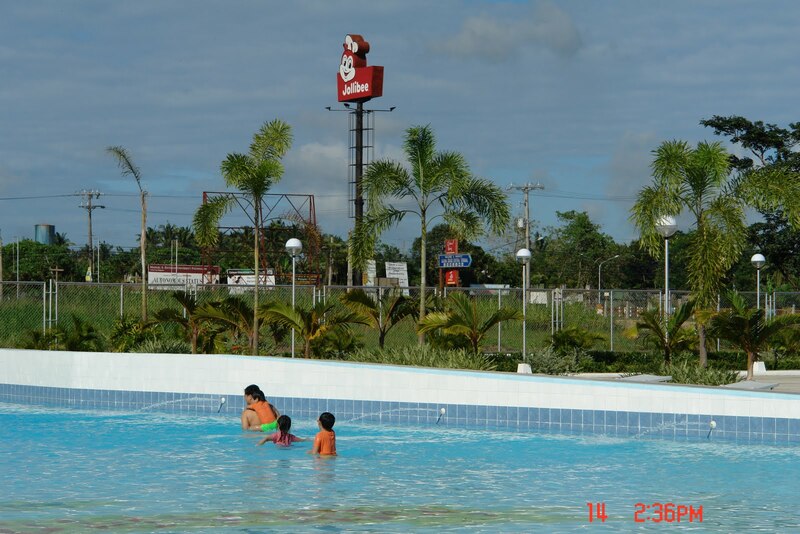 See that Jollibee sign? It's good it is walking distance away from the hotel, our kids were able to eat, what else...Chicken Joy! 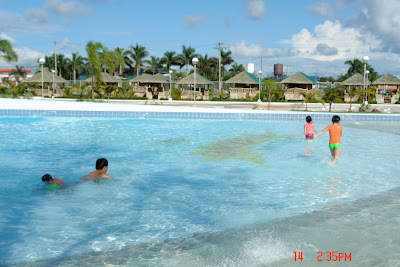 One of it's latest feature is the Wave Pool that has attracted local residents as well. 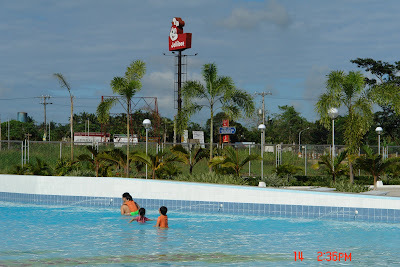 Unfortunately for us, we were not able to enjoy the wave because there has to be at least 25 persons to swim before they operate the wave pool. 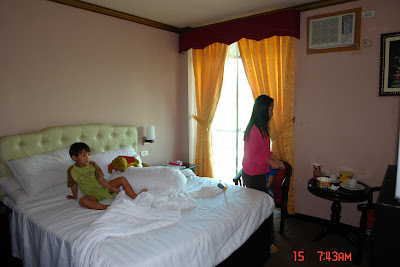 It was just us having breakfast during that time, but the atmosphere in this hotel is so laid-back, the staff moved oh so slow...zzzzz, almost had a dream while waiting for our breakfast. The hotel has a Victorian Garden to host the picture perfect garden wedding. 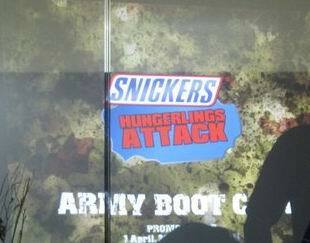 Last April 16, 2011, Bloggers were invited to the Snickers Hungerlings Attack Competition Boot Camp. Each Bloggers were given camouflage snipers veil to wear the look of a commando. If you wish to join this promo and win cool prizes, visit Snickers website. 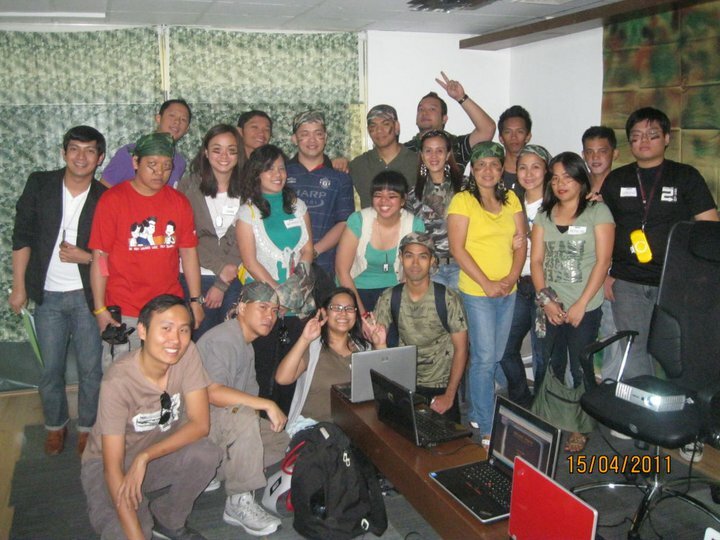 The organizers even decorated the room to look like a barracks. My husband tells me that I am a 'high-maintenance wife'. Not that I am materialistic, I'm actually not into designer stuff, although John insists and keeps on buying me what most women want like expensive clothes, bags, jewelries and the like. He calls me a 'high-maintenance wife' because I've got medical conditions that requires me to visit my doctors from time to time. For my hormonal imbalance, I frequent Makati Medical Center to see Dr. Augusto Litonjua. 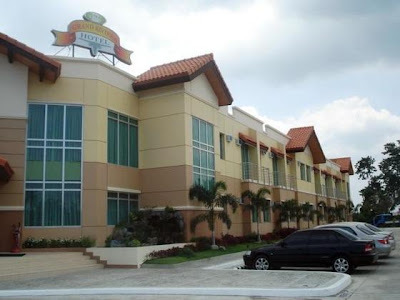 Capitol Medical Center for OB-Gyne, Dr. Roger Mendiola. 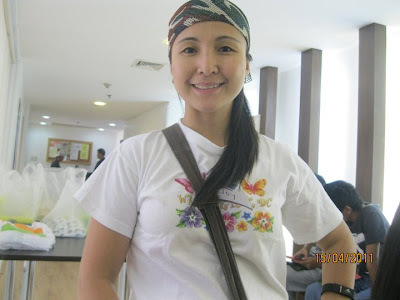 Lastly (and hopefully last), Dr. Milagros Leyva of Lourdes Hospital for my general health. During these visits and confinement, if I'm at my worst condition, I noticed how my state becomes better when doctors, nurses and other medical staff are friendly and accommodating. It is also very nice to see them wearing clean medical dresses as compared to unclean and tattered medical uniforms that others wear during their watch. Quality of life has become one of the main objectives of every hospital or medical care facilities. 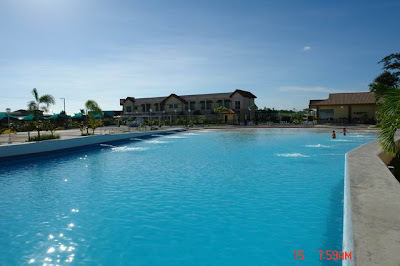 It is greatly enhanced with the quality of service provided by the staff (i.e. doctors, nurses, receptionists, etc.) Medical appointments and medical procedures is eased when done by medical practitioners who shows real concern and compassion. 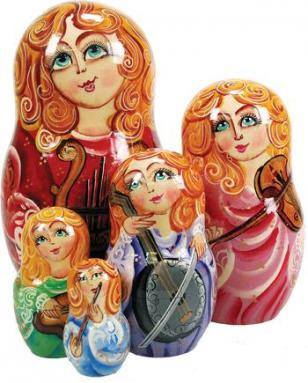 I have been dreaming of owning an Authentic Russian doll (commonly called a Russian nesting doll) for as long as I can remember. 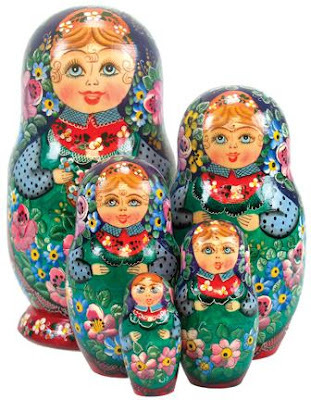 A Russian doll is a set of dolls of decreasing sizes placed one inside the other. It was in my Uncle Tino's house where I first saw this wooden dolls. He told me that in Russia it is called Matryoshka. Uncle Tino used to work in Russia, and it is in Russia where this nested figures traditionally came from. He said Matryosha is a very popular name in Russia, and that this stacking wooden figures symbolizes a mother with a big family. Normally, there are five wooden figures inside a Matryoshka, depending on the craftsmanship though, the figures can reach up to twelve. Many women collects these Russian doll, but don't you know that even men collects them. The famous Ronnie Wood, Rolling Stones guitarist, is said to own dozens of it and places them in his house in London. 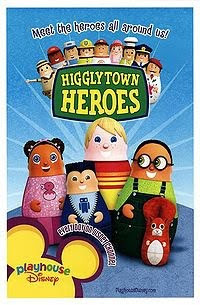 This is the reason why I like the kiddie cartoon show Higgly Town Heroes of Disney Channel, the characters are patterned after this lovable nestling dolls. The show promotes values that children can emulate, thus I do not worry when my children watches it on their own.